The Blue Giant FF3 - Fan Heater, a great model if you want a tough and robust heater have a look at the Blue Giant FF3 from Broughton. 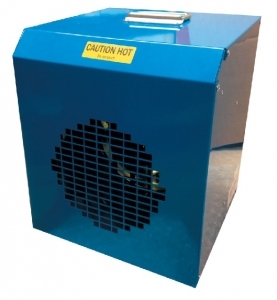 This heater is ideal for heating small garage workshops for instance and has a 3kw output. A tough British built heater that will last for years. If you want to duct the heat output there is the option of a 200mm spigot to be fitted onto the heater, this allows ducting up to 5 metres.